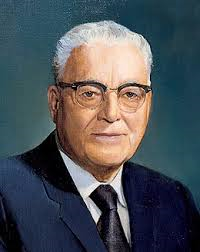 It makes no difference,” stated President Joseph Fielding Smith, “what is written or what anyone has said, if what has been said is in conflict with what the Lord has revealed, we can set it aside. My words, and the teachings of any other member of the Church, high or low, if they do not square with the revelations, we need not accept them. Let us have this matter clear. We have accepted the four standard works as the measuring yardsticks, or balances, by which we measure every man’s doctrine. “You cannot accept the books written by the authorities of the Church as standards in doctrine, only in so far as they accord with the revealed word in the standard works. “Every man who writes is responsible, not the Church, for what he writes. 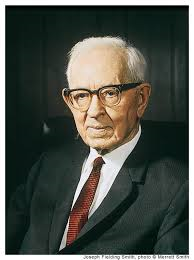 If Joseph Fielding Smith writes something which is out of harmony with the revelations, then every member of the Church is duty bound to reject it. If he writes that which is in perfect harmony with the revealed word of the Lord, then it should be accepted” (Doctrines of Salvation, 3:203-4). This entry was posted in Scriptures, Student questions. Bookmark the permalink.